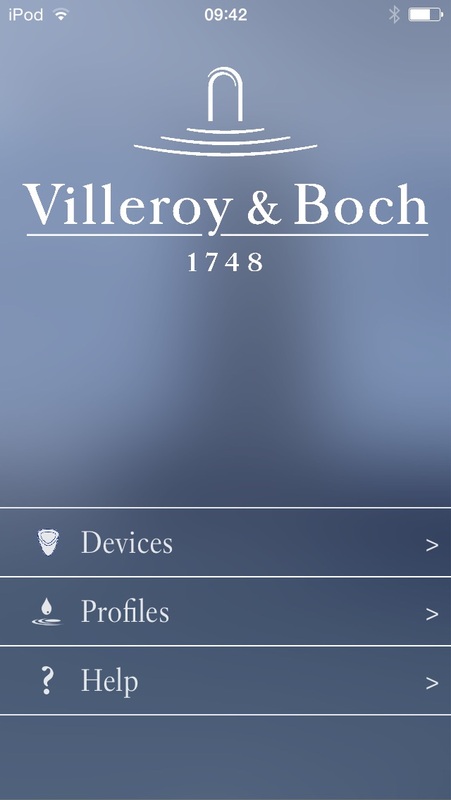 With the Villeroy & Boch App individual personal profiles for the ProDetect 2 urinal control system can be created and managed. 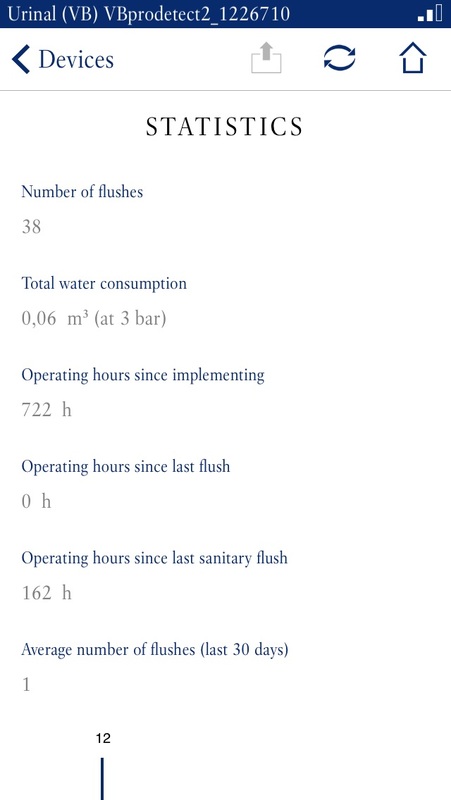 With "Plug and Play" the urinal control system is ready for use directly after installation. 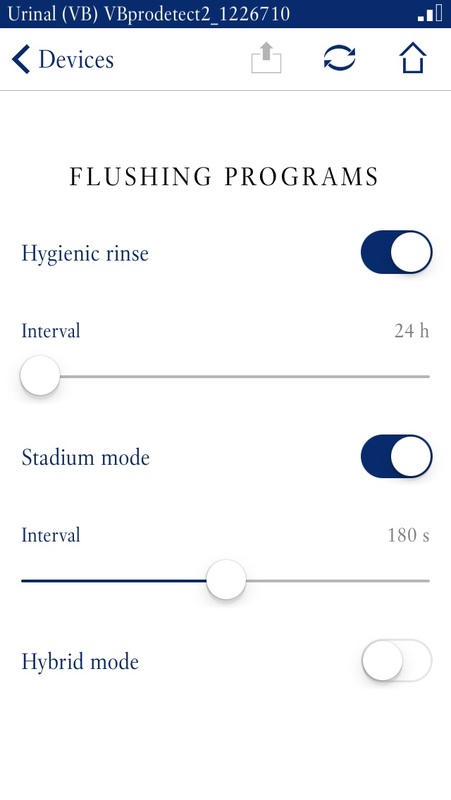 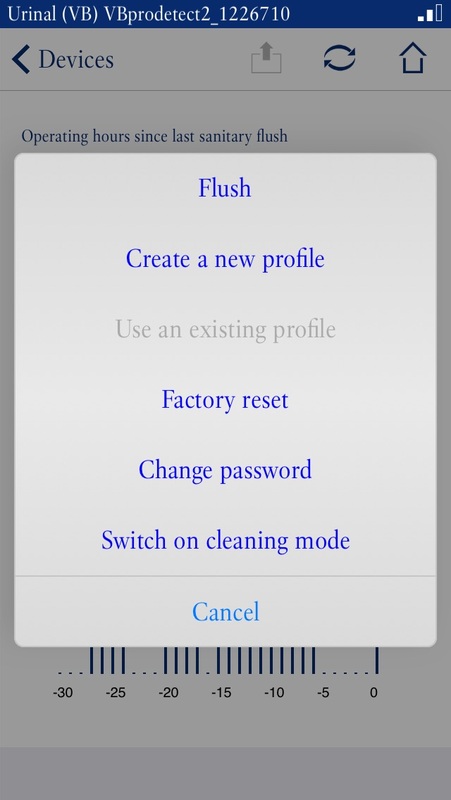 Using the V&B App the following functions can be selected and changed: automatic flushing after every use, stadium-mode, water-saving mode and hygienic flushing mode. 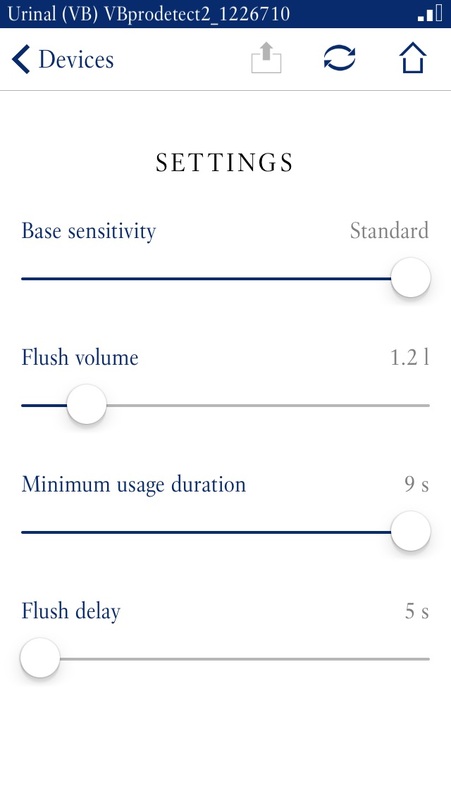 Furthermore the control system offers an overflow protection function and a maximum flushing volume of 0,3 Litres per second.